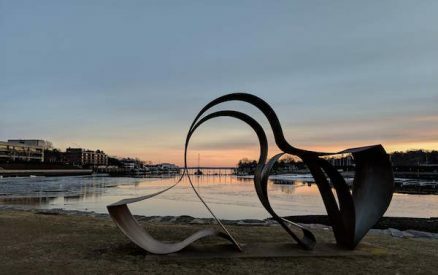 I am proud to say that I was born and raised in downtown Greenwich, CT.
Greenwich is one of the largest municipalities in Connecticut, and the largest that still calls itself a town. That said, it does still have a small town feel to it. Each neighborhood in Greenwich has its own unique character, actually. And downtown Greenwich, CT, is no different. Greenwich is typically known for being lily-white and having a high average income. Yet downtown Greenwich is much more diverse than non-locals realize. 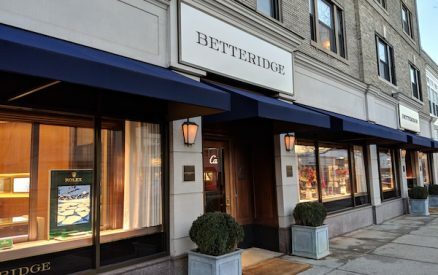 For such a small town, downtown Greenwich punches above the belt culturally, with plenty to keep you busy exploring for a long weekend. An added plus is that everything in downtown Greenwich is walkable. That’s obviously fitting for a town settled long before automobiles existed. Keep track of attractions, activities, things to do, and restaurants with a free copy of the official downtown Greenwich, CT, map! Downtown Greenwich wasn’t always the main business district in town. Before the arrival of the railroad, Cos Cob was busier. With roads in western Connecticut as poor as they were, Cos Cob’s port on the Mianus River was an easy way to transport goods and people to and from New York City. The borough of Greenwich was the name for downtown Greenwich within what was then called the town of Horseneck. Back then, it was more of the spiritual and administrative center of town. In fact, the original town hall was built right at the corner of Maple Avenue and East Putnam Avenue. There’s no mention, but it was built where the Civil War memorial stands today in front of Second Congregational Church. Upon completion of the railroad line from NYC to New Haven in the mid-1800s, the town changed its name from the parochial “Horseneck” to Greenwich. Since then, downtown Greenwich around Greenwich Avenue took off. Wealthy New Yorkers built second homes close to town so they could easily and quickly escape Manhattan to their country estates. 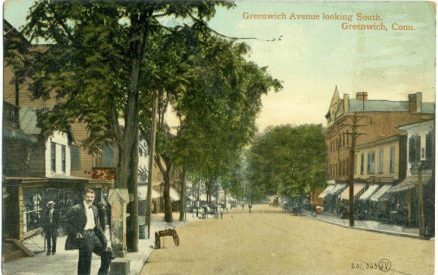 Once the automobile became the preferred mode of transportation in the mid-1900s, downtown Greenwich went into decline. Anyone who could afford to lived in Backcountry Greenwich. But that meant that downtown Greenwich real estate stayed relatively inexpensive. As such, it was where many lower to middle class citizens lived in town. Today, now that living in central locations is back in style, rents and real estate prices are on the rise. And the makeup of downtown Greenwich has changed to match that. But the many side streets of downtown Greenwich have plenty of local shops, boutiques, and eateries worth exploring. 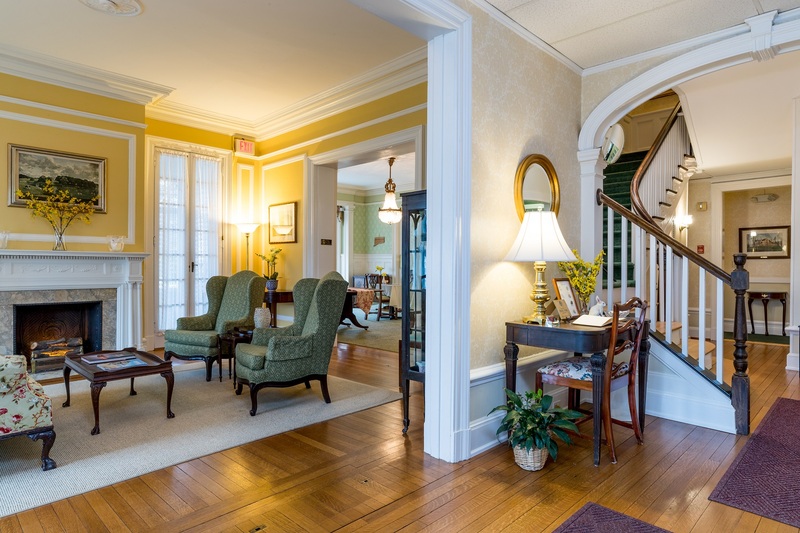 As I mentioned before, I have grown-up in downtown Greenwich in the building that is now Stanton House Inn. So, my recommendations are all based-off of distance from my childhood home. Stanton House Inn is the only downtown Greenwich bed and breakfast inn, by the way. Centered around the Post Road (an older name for East Putnam Avenue), the Greenwich Design District is a recent moniker for the area. But considering how many interior design, art galleries, and floral shops are in the area, the name seems to make sense. 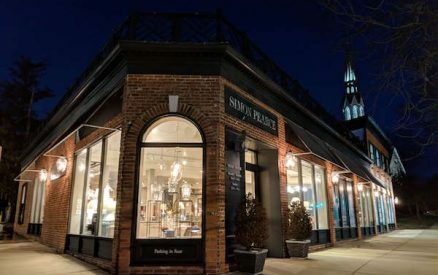 Among the 18 different stores and shops, the Greenwich Design District is already known as a one-stop shop for home design. Now it has a fancy name to go with it. 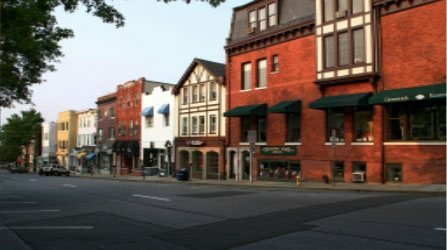 For the artistic or aficionado, wandering through the art galleries of downtown Greenwich fits with visiting interior design stores. Downtown Greenwich is most well known as the Greenwich, CT, shopping district. But there are still plenty of unique local finds, both on and near Greenwich Avenue. Greenwich Avenue was once home to only a few old, family-owned restaurants. It has experienced an explosion of new restaurants in the past few decades. Now, Downtown Greenwich is a culinary destination in and of itself. Everything from Italian to French to Indian makes an appearance on a list of restaurants. There are plenty of options on Greenwich Avenue alone to satisfy a wide variety of palettes. But Greenwich Avenue is not where the restaurant scene ends in downtown Greenwich. And all are within walking distance of each other, if you want to plan an afternoon walking tour. And within and near those historic districts include many points of interest special to Greenwich history. 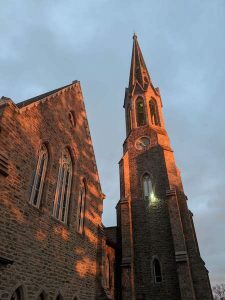 In many ways, these churches, muncipal buildings, and others are special in being emblematic of the region’s history in general. 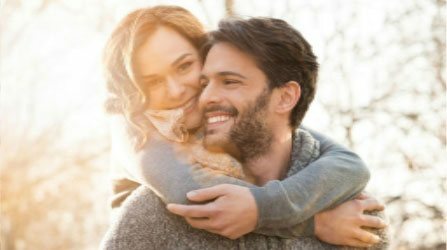 Everything on this list is within walking distance of each other, though some would be a longer walk than others. And downtown Greenwich slopes from an inland ridge on which many of the town’s churches and Stanton House Inn sit down to the Long Island Sound coast. Fortunately, if you’re not feeling walking up hills, it’s easy to order a Lyft, Uber, or Greenwich Taxi. Putnam Cottage was also known as Knapp’s Tavern during the American Revolution. It was first constructed in the 1600s and used as a tavern. As the official name implies, it housed General Putnam during the War. He fled from the British from here on his locally-famous escape over what’s now known as Putnam Hill. Knapp’s Tavern even hosted General George Washington and his entourage for lunch during the War. Today, Putnam Cottage is open for tours hosted by the local Daughters of the American Revolution chapter. That said, it’s only open certain Sundays in the warmer months. 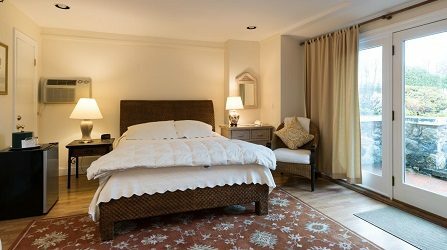 What was once a private mansion overlooking Greenwich Harbor is now a globally-recognized destination. The Bruce Museum includes a permanent exhibit devoted to the local biome and natural history of the area. But it also hosts regularly rotating art exhibits. Some exhibitions don’t typically leave their home countries, but make their way to Greenwich and the Bruce Museum. The Museum is also rolling-out a major, multi-million dollar expansion to make it even more of a world-class destination. While not officially in downtown Greenwich, the Bush-Holley House is so close it’s worth mentioning. Several of the churches in downtown Greenwich have been central to life here for centuries. While many are experiencing declines in attendance, the churches are still impressive to see, both inside and out. Close to Stanton House Inn in the Putnam Hill Historic District are Second Congregational Church and Christ Church. Still close-by is the First United Methodist Church. It was originally built as a country church and now looks out of place in the middle of a busy commercial district. 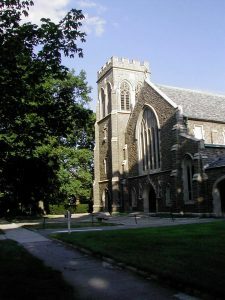 On or close to Greenwich Avenue are the First Presbyterian Church and Saint Mary’s Church. Both have beautiful interiors. 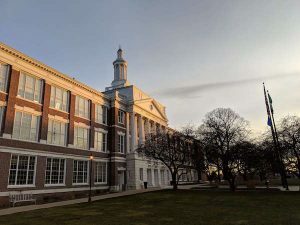 At the turn of the 1900s, Greenwich was smart enough to maintain plenty of its green space as it changed from a rural community to a major Connecticut town. To the east of the Bruce Museum, Bruce Park is what’s left of the Bruce estate. While part was commandeered to build Interstate 95, what remains is still serene. The park was designed as a managed, bucolic wilderness, like Manhattan’s Central Park. Take a stroll here on weekdays and you’ll see plenty of Greenwich office workers enjoying the sun while eating lunch on one of the many picnic benches. Situated next to Greenwich Harbor, Roger Sherman Baldwin Park offers commanding views of the water. It also features events in the summer, including concerts. More than a few people visit downtown Greenwich and decide to make the move here. Even locals are selling their more expansive Greenwich mansions and moving closer to town. And it’s easy to see why: walkable, with plenty to do in such a relatively small town. I donated my car shortly before moving back to Greenwich and haven’t missed it since. For the right price, there are plenty of apartments, condos, mansions, and homes to buy or rent. Reach out to the Greenwich Association of Realtors for more information. I bet you didn’t think there was so much to do in such a small town. Keep track of everything there is to do here when you download a free copy of the downtown Greenwich, CT, map.